Photobiology is an interdisciplinary science which has undergone a dramatic development in the past few years. This comprehensive new textbook brings together all the information required by workers and students in the field, from the atomic to the organismal level. The initial chapters comprise a comprehensive introduction to the terminology and include a detailed description of the photochemical reactions involved. The main part of the book covers all the classical photochemical topics and whilst not trying to be encyclopedic in coverage, does present numerous relevant examples. 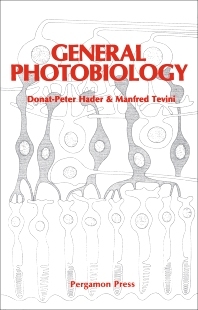 By bringing together the wide breadth of knowledge involved in the understanding of photobiology, this book will be of immense use to all those involved. For biochemists, plant physiologists, vision researchers and all those involved in photobiology. (partial) Important units in the SI system. Introduction. Fundamental photophysics. Light sources. Absorption and wavelength selection. Measurement of radiation. Excited states and their relaxation. Photochemical reactions and energy transfer. Bioluminescence and chemiluminescence. Halobacterium. Photosynthesis. Photomorphogenesis. Light-dependent rhythms. Light-dependent movement responses. Molecular basis of vision. Biological effects of ultraviolet radiation. Index.